HMC is very different from your typical website design service. I am self-taught, with over 10 years of experience in three specific areas (photography, videography, social media marketing). My expertise in these three areas enables me to design a website that grows with your small business or organization. Do small businesses need a website in 2019? Or has social media replaced the need for a website? We create fantastic promotional videos and commercials for your small business, website or social media pages that will help educate potential customers and inform current customers about your services. How To Edit Your Business Information On Google? Rates Start minimum $300.00 per video (up to 1:30 secs duration) videos exceeding (1:30) duration contact us for a quote! 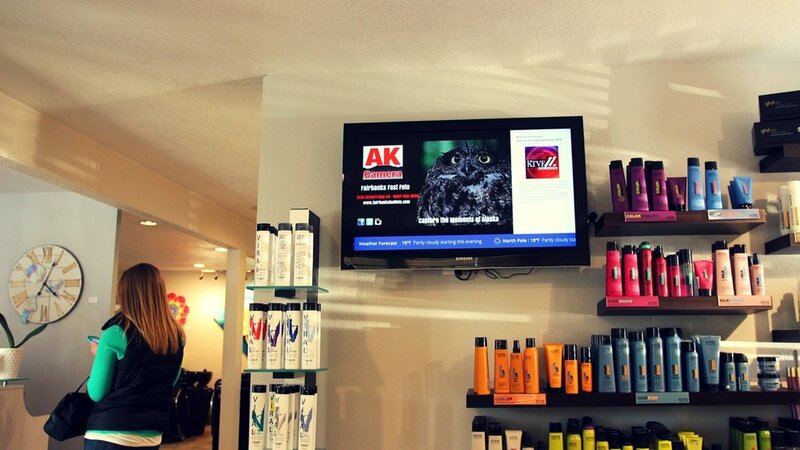 Digital Signage Advertising provides a modern approach to advertising your small business. Your small business ads are prominently displayed on a 32" or 43" screens at local St.Marys Georgia businesses lobbies or common areas. Locations are pre-selected based on high visibility traffic. Ads can be changed or updated remotely via the cloud, which in turn allows your ads to reflect new promotions or on going sales. In today's competitive market advertising not only needs to be affordable but also be effective. Hybrid Media Consulting shares those concerns, and as a result, we have an advertising model that ensures value for your small business advertising dollars.